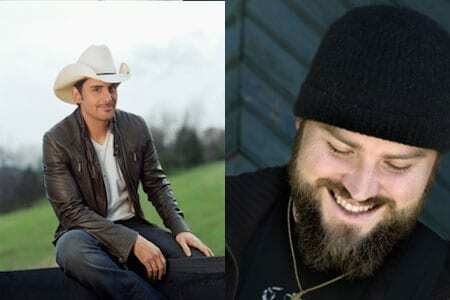 Songs written by Zac Brown and Brad Paisley are among a pool of potential Oscar nominees for Best Original Song. Brown, Wyatt Durrette, Drew Pearson and Anne Preven penned “Where the River Goes” for the Footloose soundtrack. Brown also recorded the song for the project. Paisley teamed with British pop star Robbie Williams to write and record “Collision of Worlds” for the Cars 2 soundtrack. There are 39 contenders vying for the final nominations for Best Original Song, which will be determined by voting members of the music branch in Los Angeles on Jan. 5. More on that process from the LA Times. Nominees will be revealed Jan. 24 and the Oscars will be presented Feb. 26. “Where The River Goes” also recently scored a Grammy nomination for Best Song Written For Visual Media. The Grammys will air live Feb. 12 on CBS.